Chocolate Bark, Pretzels, and More! 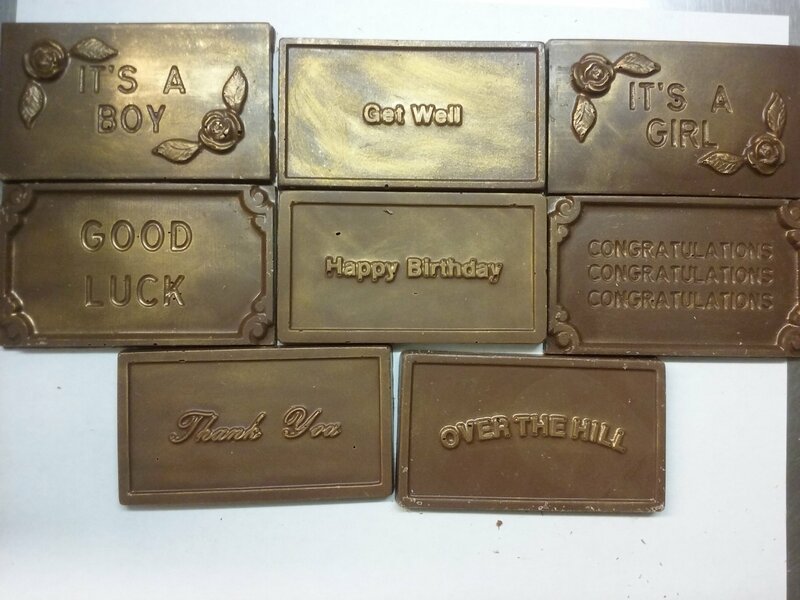 These gold tinted chocolate bars are a great way to send a message. All options available in milk and dark chocolate.